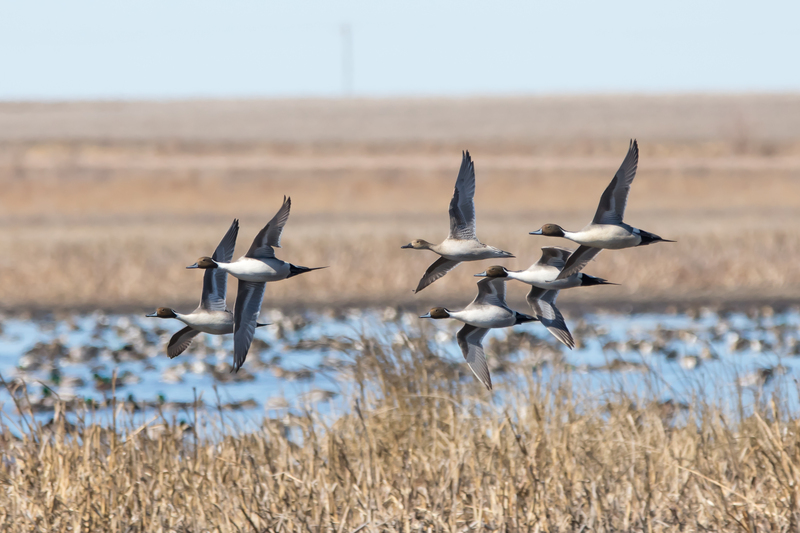 The Rainwater Basin Joint Venture’s (RWBJV) mission includes science–based conservation efforts for all priority bird habitats throughout Nebraska’s mixed–grass prairie region. The Management Board of the RWBJV is committed to implementing the U.S. Fish and Wildlife Service’s Strategic Habitat Conservation model. This science–based model requires a commitment of resources and time to develop a strong biological foundation for delivering conservation planning and designing research and monitoring efforts. To fulfill this commitment, the University of Nebraska–Lincoln hired Dana Varner as the RWBJV Science Coordinator in October 2014. This position is the product of a partnership between the RWBJV, the Nebraska Cooperative Fish and Wildlife Unit, and the University of Nebraska–Lincoln School of Natural Resources, which provides office space and support in Lincoln. Funding for the position is provided by the RWBJV.